I have recently downloaded MathJax-2.7.4 and successfully render test htmls in folder test. Then I save the webpage https://math.stackexchange.com/questions/ask offline to write question. But when I disconnect to the Internet, the page does not render math symbols. Please show me how to render the page https://math.stackexchange.com/questions/ask offline! 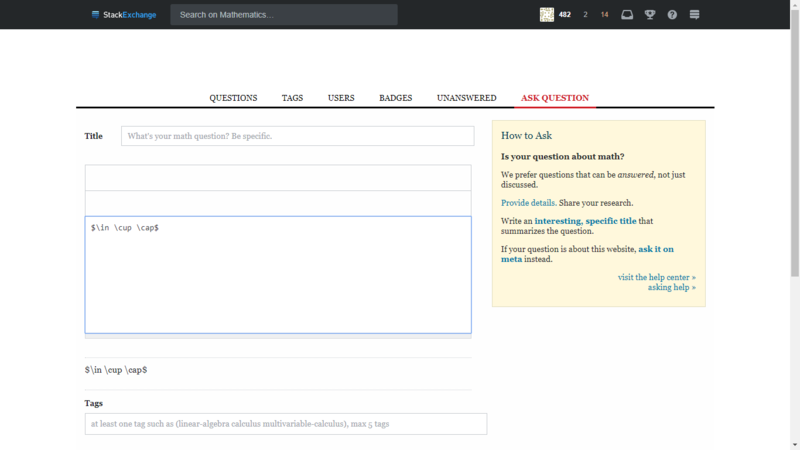 Browse other questions tagged support mathjax asking-questions markdown editor .